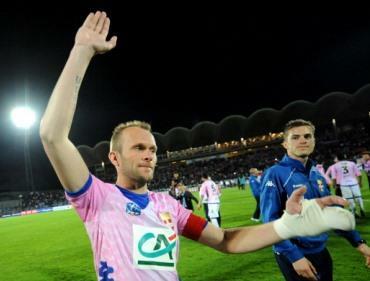 "Bordeaux's defending has worsened recently while Sochaux will go all-out for victory." This is a game between hosts with everything to play for and visitors whose minds are likely to be elsewhere. Sochaux are just 1pt and one place above the relegation zone so desperately need points to stay out of trouble. Their home record (W5-D4-L7) is disappointing but they're capable of raising their game in front of their own fans against big opponents, as 3-1 and 3-2 wins over Marseille and PSG respectively and 1-1 draws v Lille and Lyon show. Bordeaux will already be dreaming of their French Cup semi-final at Troyes (May 7) after their 3-2 quarter-final win at Ligue 2 Lens on Wednesday evening. Sitting in mid-table, les Girondins cannot challenge for a European place through the league and are safe from relegation so their Ligue 1 season is effectively over. Bordeaux coach Francis Gillot named a strong team for that game at Lens so the visitors may suffer from fatigue in the later stages of this match. And the decision to use former West Ham and Real Madrid man Julien Faubert as a centre-half has made Bordeaux vulnerable in the past couple of weeks: as well as conceding twice at Lens they leaked two goals at home to Montpellier (4-2) last weekend. Sochaux's extra motivation should ensure they avoid defeat so I'm willing to oppose Bordeaux, who are actually favourites (the visitors are [2.74], Sochaux [3.0]). Over 2.5 Goals also looks too big in a game where Bordeaux's form and attitude suggests there will be chances at both ends. This looks likely to be an open encounter between relegation rivals. Nancy looked dead and buried at the turn of the year but have picked up 13pts from their last six games to climb to within a point of safety. After 1-0 wins in each of their last two home matches the hosts will be confident of collecting three points against visitors that have lost nine of 16 away games this season. Defensively Nancy have improved over the past two months but are still prone to individual errors and I can see them leaving gaps at the back as they go for a win over beatable rivals. Defensively, Evian are equally unreliable, keeping just five clean sheets in 32 games this season. We could see mistakes towards the end too as both teams played in midweek. Nancy lost 3-0 at Troyes in the French Cup on Tuesday night while Evian recorded a famous penalty shoot-out victory over PSG 24 hours later. Having played for 120 minutes and then knocked out the tournament favourites Evian may be physically and mentally drained. For all these reasons Over 2.5 Goals is the selection.